In Cyber Exodus and throughout the Genesis Cycle, the game's seven factions retain their core personalities. But even as the Data Pack's new technology makes each of the factions more efficient, it also derezzes the limits of the possible. 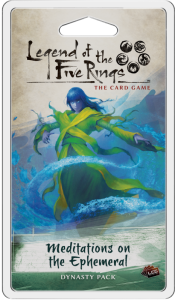 Expand your Legend of the Five Rings: The Card Game collection with Meditations on the Ephemeral, the sixth Dynasty Pack of the "Imperial Cycle"! 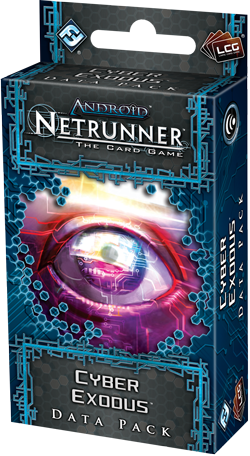 Ascension: Realms Unraveled is a deck-building game in which players acquire cards from a central pool, then place those cards in their discard pile to be shuffled into their deck for later use; creatures also show up in that shared card pool, and players can combat them to earn victory points (VPs) and possibly other benefits, such as the ability to remove less useful cards from their deck or to banish cards from the pool that others might find useful. 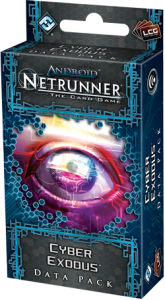 The game ends once all the available VPs have been claimed or the shared deck of cards runs out. 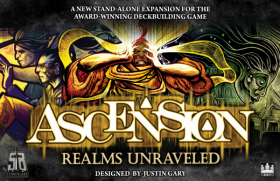 Ascension: Realms Unraveled, part of the Ascension deck-building game series, is both a standalone game for 2-4 players (with solitaire rules included, too) and an expansion that can be combined with any other Ascension game to support up to six players. While cards in previous Ascension games have always belonged to one of four factions, Ascension: Realms Unraveled introduces multi-faction heroes, and these heroes combine with the new "Multi-Unite" game mechanism to deliver huge rewards to those who play multiple heroes from the same faction. Ascension: Realms Unraveled also features the "Transform" mechanism that debuted Ascension: Darkness Unleashed, with players being able to convert their cards into new, more powerful versions as the game progresses. 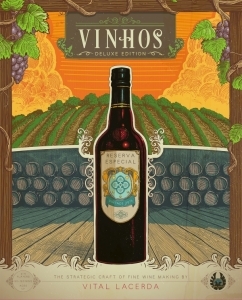 The Vinhos Deluxe Edition features new art from Ian O'Toole, all components and improved rules of the original game of Vinhos, and a new simplified version of the game. The board is double-sided and features both versions of the game.